In 1944, as Allied Liberation forces pushed on from Normandy towards Paris, hordes of Nazi art thieves sped up their seizures and desperate shipments back to the Homeland and hiding. The finest art, 22,000 pieces, funneled through the Jeu de Paume Museum in Paris. Where did it go? Rose Valland knew. She had secret records: she had recorded every visitor to the museum, knew the contents of every packing case dispatched to Germany, knew their destinations, knew even the home addresses of their recipients. There was no point in revealing information until it could be used. At the outbreak of WWII, the Germans declared that any work of art that had ever been in Germany at any time was German property and was going to get repatriated. This included everything that had been seized by the plundering Napoleon a century and a half earlier. This was long-delayed revenge. That intent was quickly expanded. To honor the Fuhrer, the greatest museum in the world was going to be built in Linz, Austria. All the greatest art gatherable by any means was needed to fill its kilometers of galleries. Although Herman Goring was a devious backer of the Fuhrer Museum, he was equally rapacious in buying (for next to nothing) or stealing everything that helped satiate his voracious appetite. He had his own estate to fill. Hitler’s and Goring’s forces were supposed to work together but often worked in competition. Both were supported by a black web of military thieves, SS officers, opportunistic dealers, fakers, and con artists — a plethora of shady operatives set loose in every country Hitler conquered. 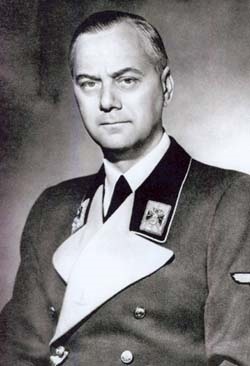 Until he was replaced, Count Franz von Wolff-Metternich, a German museum official and committed Nazi, served as head of the Kunstschurtz, the German conservation program. Unlike other Nazis, he tried to manage seizures in accordance with the Hague Convention. He was supposed to be a figurehead, but he was in constant dispute with less-principled forces, as an internal struggle pitted the Nazi army and the SS against the more moderate Nazi government appointed to run conquered France. Eventually he would be replaced. Under Jacques Jaujard, the head of French National Museums, the greatest art works belonging to the Louvre and other museums already had been evacuated and hidden. In 1939, unpaid volunteer Rose Valland had helped Jaujard remove and hide France’s official treasures. Jaujard and Wolff-Metternich collaborated to prevent their seizure — at least until Germany had won the war and could take them as reparations. But this was no protection for Jewish collectors and dealers. The accumulations of the Rothschilds, Wildenstein, Seligmann, Weil, and many others were fed into the maw. Wildenstein and Seligmann were among the 15 Jewish art dealers who lost everything they had not managed to hide or transfer to England or the United States. The head of spoilage was racist Alfred Rosenberg, relentless boss of the notorious Einsatzsab Reichesteiter Rosenberg (ERR). Hitler had signed a decree seizing all Jewish assets. But Nazi art seizures were not limited to Jewish property. Nonetheless, no group suffered more than the great Jewish families and art dealers. Hitler had first choice from the ERR seizures. Goring had second. Rosenberg third. Goring came to the Jeu de Paume to make his choices 21 times. I wrote about Daniel Henry Kahnweiler early in this series of “Moments in Art.” He was one of the nicest and most helpful dealers I ever interviewed. (At some time I must write about his imperiled flight from Paris as Nazi troops conquered France in 1940.) He found and supported the unknown Picasso and other artists of the period. He was a Jew, but well in advance of Rosenberg, he had turned title to his gallery over to a Gentile, and on this ploy, his gallery avoided complete confiscation. Besides, his gallery dealt in what Hitler declared was degenerate art. Soon after the Nazis conquered France, the SS art marauders gathered up a large number paintings by the “degenerate artists.” Rose Valland, from her place at the Jeu de Paume, must have watched in horror as the paintings were piled up in front of the museum and set afire. Paris was liberated by the Free French on 19 August 1944. James Rorimer was quickly there. Yet more than a month passed before the French government was sufficiently organized to form a Commission to find stolen art, objects, archives, and libraries — which totaled several million pieces, of which the 22,000 funneled through the Jeu de Paume museum were the heart of it all. 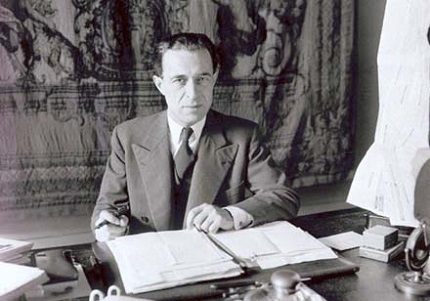 The leader of the Commission was one of Jaujard’s leading contacts in the Underground, Robert Henraux, an art patron. The Commission secretary was Rose Valland. The meticulous Germans, who recorded everything they took, where it came from, and where it went, either destroyed their records or packed them off as Paris fell. The war still raged and would for nine more months. The French wanted their art back and were helping as best they could, but it was the few Allied Monuments Men who were on the front lines looking for it. Quickly after the Nazis left, the Louvre mounted an exhibition of the Bayeux Tapestry, one of France’s great treasures. The Germans had not managed to steal it. The show had a cathartic effect on Parisians. Jaujard was exhausted, but he had work to do. Lt. James Rorimer, posted to Paris, had seen Rose Valland in the Jeu de Paume but had paid little attention to her. Although she became head of the museum, she was quiet, unassuming, rather ordinary looking, a nonentity. The Germans had been deceived as much as Rorimer. 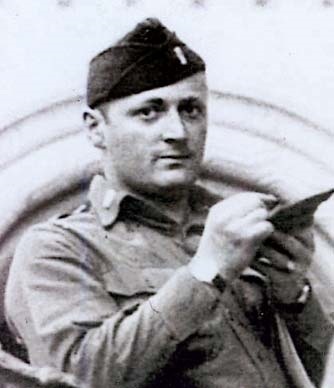 Lt. James Rorimer. After the war he would become head of the Metropolitan Museum. Jaujard wanted this one-time Metropolitan Museum official and currently United States Army officer to meet Rose Valland formally. He hoped the American would become trusted by his spinterish mouse. It didn’t happen quickly. Valland, secretive for so many years under Nazi noses, was still wary of bureaucrats, incompetents, collaborators, and military of all stripes. Valland had provided the Resistance with information on the last German art train to leave Paris, 51 cars loaded with loot. It contained 148 cases of masterpieces from the Jeu de Paume marshaling point. Her warning enabled the Resistance to waylay, misdirect, and stop the train long before it reached the Reich. Free French Forces found the train and sent 36 of the 148 crates back to the Louvre. The rest of the train disappeared, for nearly two months. According to Robert Edsel, The Monuments Men, Jaujard observed that the Momuments Men were looking for art where the Germans had taken or abandoned it. He suggested that maybe the hunt would go better if they started with the initial records of their shipments. He suggested Valland might be able to help. Henraux made the same suggestion. Henraux told Rorimer the ERR had nine warehouses; perhaps Valland could help him find them. She also knows about the unopened rail cars. But Valland did not begin to warm up to Rorimer until mid-December, when she went in the field with him to investigate the ERR warehouses. There wasn’t much to find. As long as Rorimer, now a first lieutenant, worked in Paris, there wasn’t much he could do with her secret information. So she wasn’t ready to confide. Jaujard and Valland were agitating for Rorimer to be transferred to the field, and as a snowy December ended, Rorimer learned he was to be transferred. His relationship with Valland began changing. He was headed towards where the stolen troves might be found. Even so, it took two more months, until 1 March 1945, for his official transfer to the U.S. Seventh Army. Valland was willing to feed him her secrets — on condition that he turn them over to no one else. In someone else’s hands they risked being put aside and forgotten. She could trust Rorimer. There was no guarantee the field search would succeed. The Germans in their flight were on orders from Hitler to destroy anything that might be of value to the Allies. As well as bridges, railways, canals, buildings, that included works of art. As Lt. James Rorimer sat in the dimly lit Left Bank apartment of Rose Valland, the Jeu de Paume mouse begin showing him photographs of all the bad actors who had plagued French culture for four years: Rosenberg, Goring, Lhose, and many others. And then pictures of the stolen art. Lt. Rorimer suddenly understood the brilliant mouse. She had been testing him and training him. Was he using her, or was she using him?